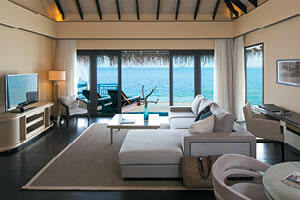 Charter a private yacht to reach the idyllic Outrigger Konotta Maldives Resort. 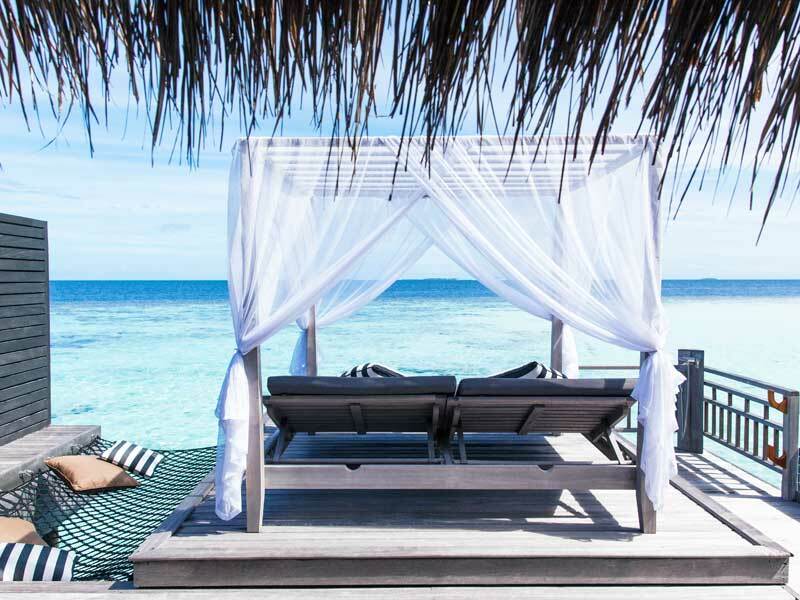 Opened in 2015 and situated 340 kilometres from the capital city, Malé, this secluded private island resort is the perfect place to relax and forget about the rest of the world! 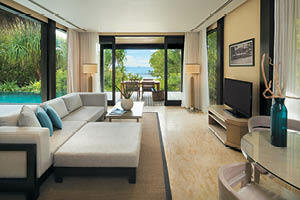 Each of the 50 luxury villas have their own pool and guests can enjoy direct access to the pristine, white sandy beach. 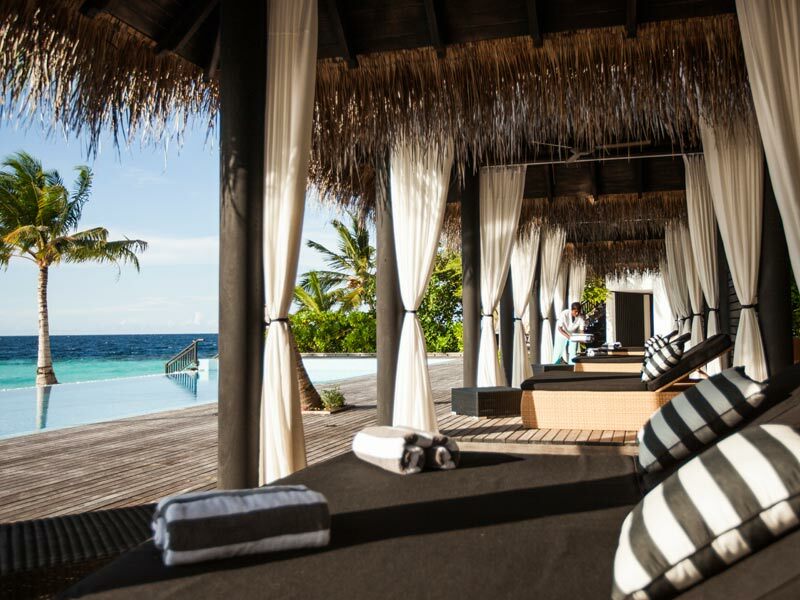 Set on its own private island just 50 kilometres above the equator, you’ll be at the centre of the globe while feeling miles away from its drama at the Outrigger Konotta Maldives Resort! Be pampered from the moment you arrive—customer service is important here and nothing is too much trouble! Relax by your private pool, learn about local marine life, or enjoy a picnic on an isolated island beach. With three exquisite dining options, a spa, a fitness centre, and plenty of recreational activities, the most strenuous thing you will have to do all day is decide where to eat and how you’d like to relax! 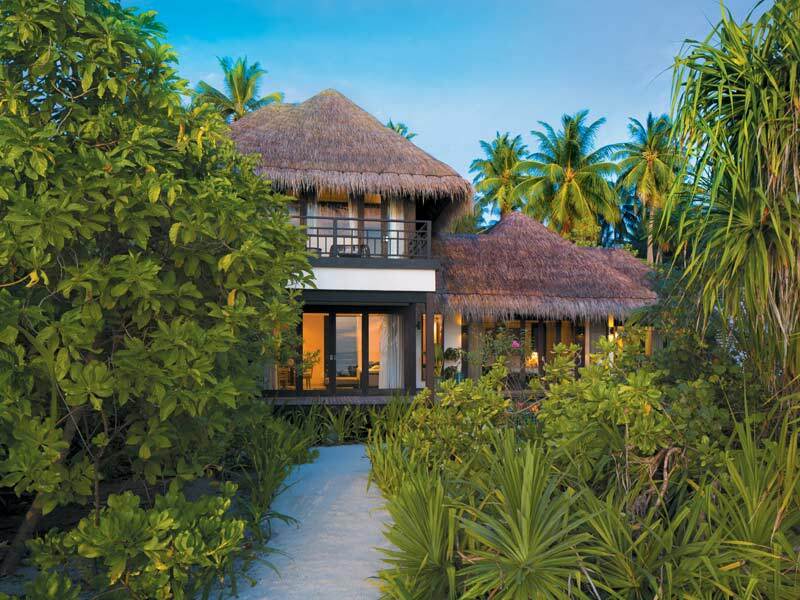 You won’t need to lift a finger at the Outrigger Konotta Maldives Resort! Wake up to views out over the Indian Ocean and enjoy the novelty of an on-request butler service. Enjoy island life and know that all ages will be catered for. With a kids club, pool, and playground, this secluded tropical destination is perfect for couples and families alike! 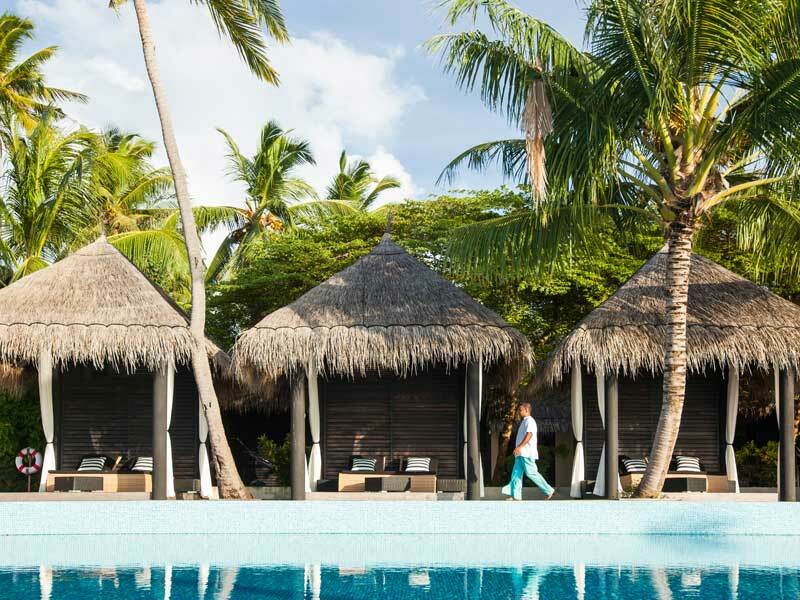 You can do as much or as little as you like at the Outrigger Konotta Maldives Resort. Explore in a kayak, learn to surf, or just kickback on a sun lounger and take it all in. 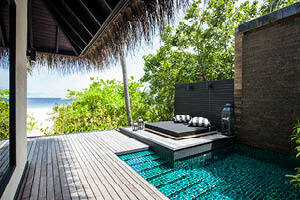 Set on the beach, just meters from the ocean, the villa enjoys private beach access as well as a 4.8-metre private pool. Enjoy the wonderful tropical weather from the lower deck and private garden, or the upper deck complete with sun loungers and panoramic views of the Indian Ocean. 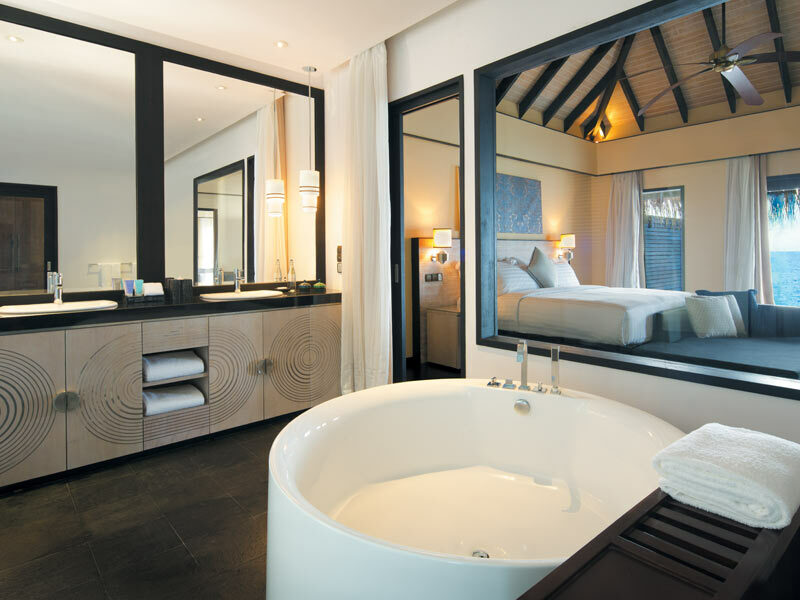 The Beach Pool Villa has an open plan living area and an oversized bathroom with dual sinks, bathtub and outdoor rain shower. Roll-away applicable for 3 Adults – charges may apply. 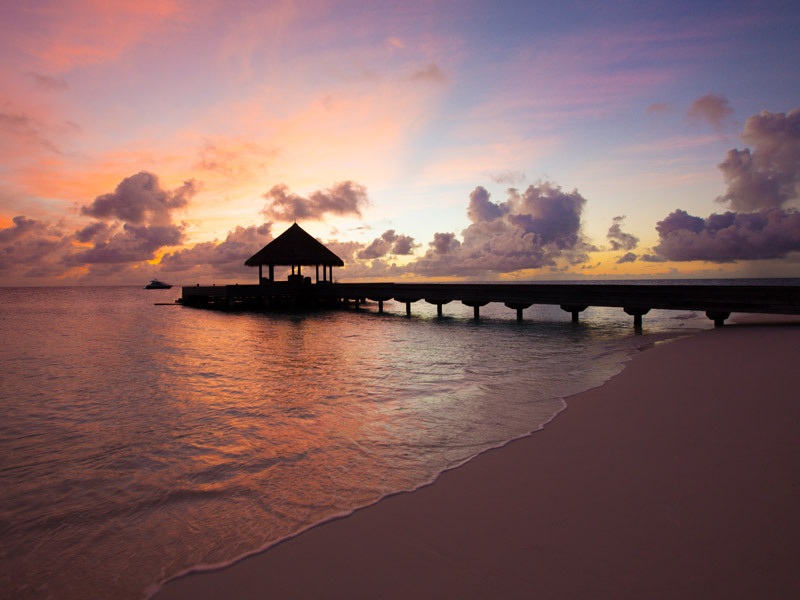 This is what you picture when you think of the Maldives. 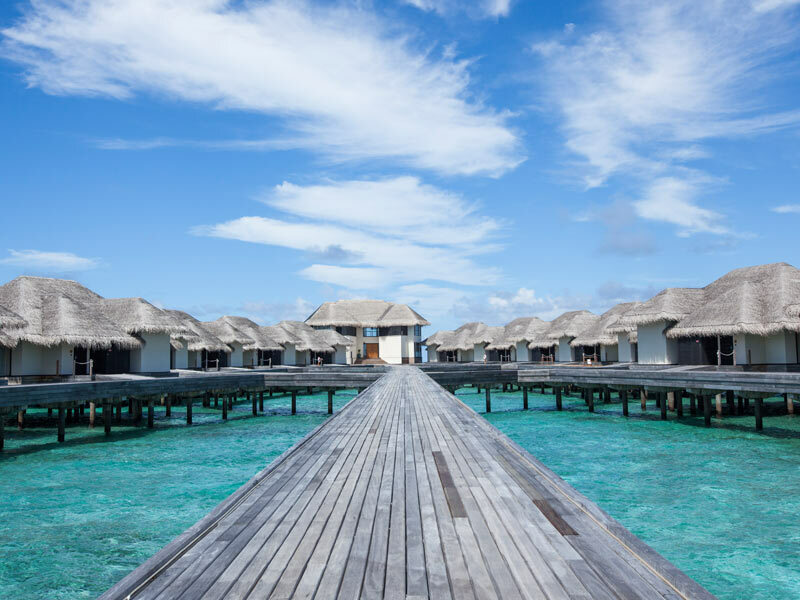 Wooden bungalows set on stilts over the ocean, with direct access into the water. 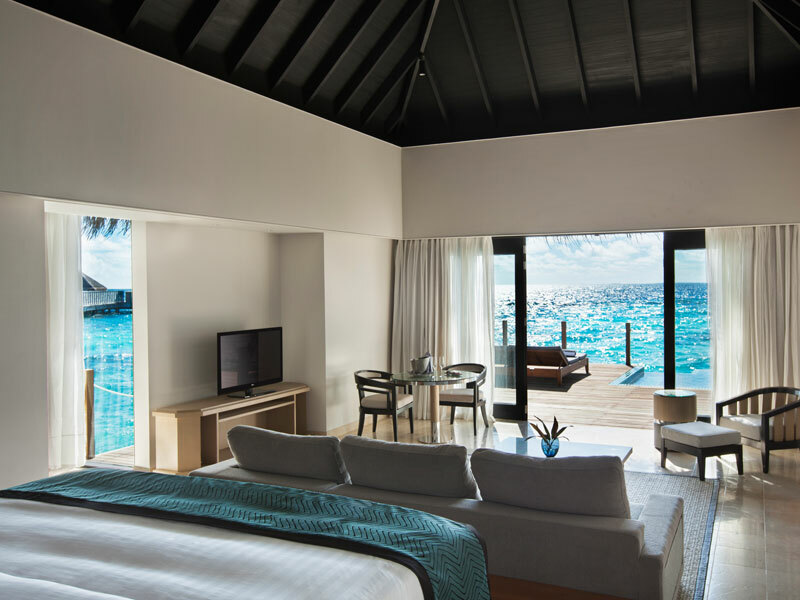 The Ocean Pool Villa has separate living and dining areas, an oversized bathroom with dual sinks, bathtub and outdoor rain shower. The master bedroom has a seating area and direct access to the sundeck. Enjoy the view over the Indian Ocean from your private 5.2-metre infinity pool, surrounded by a sundeck complete with a daybed, sunbed and hammock. 225 Square Metres – 1 King Bed – Accommodates 3 people. These spacious villas located on the sunrise side of the island boast a full kitchen and both indoor and outdoor dining areas. Perfect for families or groups of friends, both the master and the guest room are ensuite. 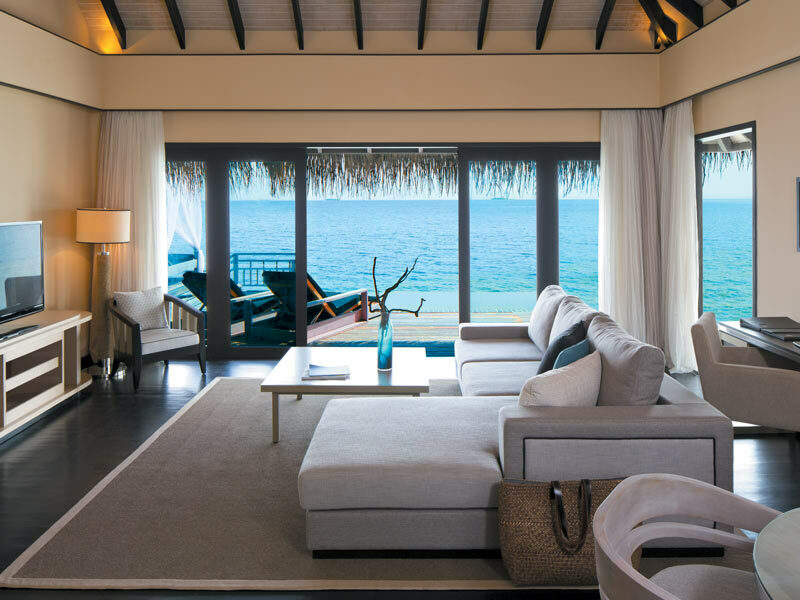 The master bedroom features floor-to-ceiling windows with direct access to an upper deck complete with lounger chairs and a panoramic view of the Indian Ocean. 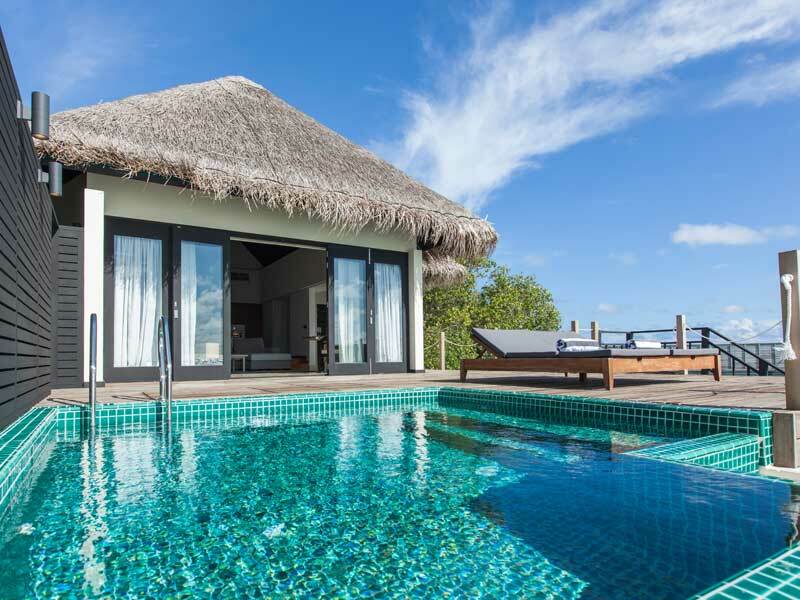 The 2 Bedroom Beach Pool Villa enjoys private access onto the beach and a private 6.3-metre pool. 282 Square Metres – 1 King Bed in Master, 2 twin beds in guest – Accommodates 5 Adults. Roll-away applicable for 5 Adults – charges may apply. Take a 55 minute domestic flight from Malé International Airport to Kaadedhdhoo airport. 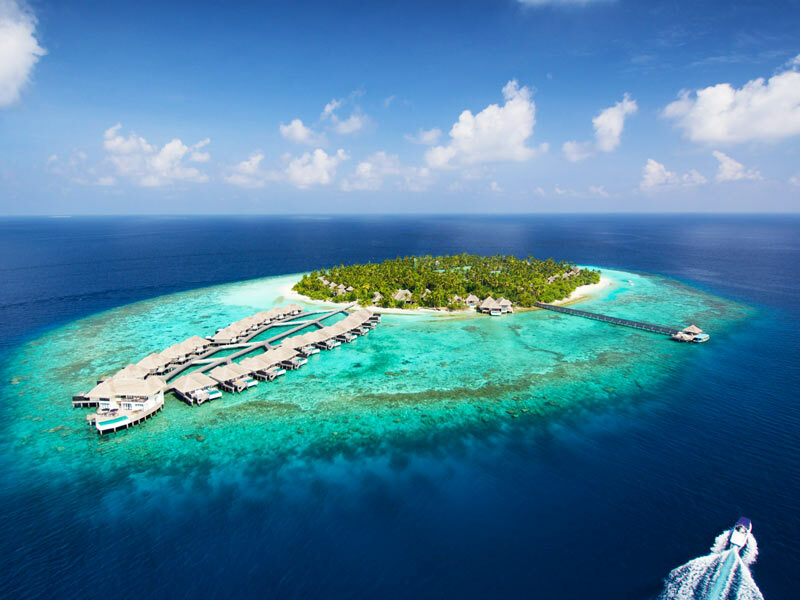 A private yacht will take you the rest of the way—you’ll sail for 30 minutes across the stunning, turquoise Indian Ocean to reach the Outrigger Konotta Maldives Resort. 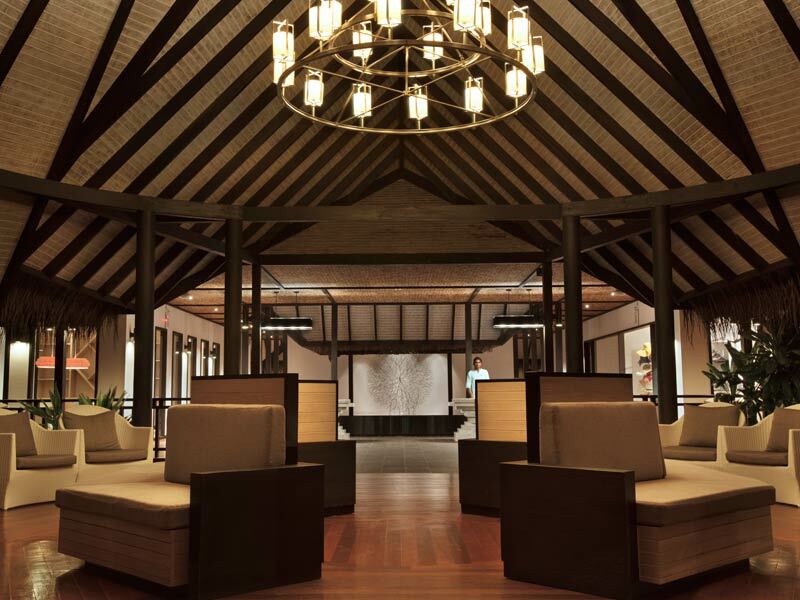 There’s so much to do at the Outrigger Konotta Maldives Resort that you’ll have to come back to fit it all in! Take a day tour to other secluded islands or enjoy the wide range of water sports nearby. Sail, surf (board, wind, and kite! ), paddle board, kayak, dive, snorkel, or try out motorised water sports, including banana boats and parasailing! Unwind afterwards at the Navasana Spa, or lounge by your own private infinity pool, looking out over the turquoise Indian Ocean. If you’re feeling romantic, the staff can help you arrange a private beach picnic or sunset yacht trip to eat while watching the sun go down from the middle of the sea. Menus are flexible and can cater to specific needs! I cannot recommend this property enough. It puts the L into luxury. I was lucky enough to bring in the New Year here and I can honestly say I have never been treated so well. It goes without saying that the setting doesn’t get much better, but the properties are out of this world and the staff can not do enough for you. This is an experience I will cherish for the rest of my life!